There are certain foods that we love because they taste great, but they have little or no nutritional value. I call them “joy” foods. If you want to eat them, you should. In moderation. I am a proponent of not having any foods that are off-limits. No forbidden foods, except for medical reasons, or ethical ones like being vegetarian or vegan. This scares some people. They think food has power over them. They think they can’t control themselves when they’re in the presence of foods they love. If I let myself eat French fries, I’ll have to eat the whole order! I won’t be able to stop! I can’t keep cookies in the house or I’ll eat them all at once! When I have chocolate in my home, it’s like it calls my name until I eat it all. Here’s the thing. The only way to have control and feel at ease around any food is to allow yourself to eat them. It’s HOW you eat them that’s important. Are you missing the joy of the joy foods? 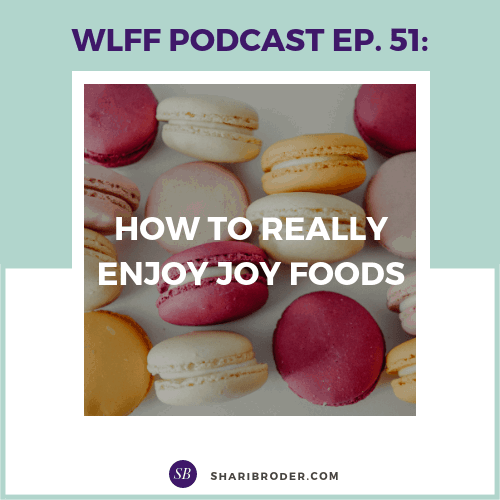 Listen below to learn how to really enjoy joy foods, and how you can eat them without overeating them. ARE YOU READY TO END EMOTIONAL EATING FOR GOOD? Learning to kick the emotional eating habit is essential for permanent, diet-free weight loss. SIGN UP for my new course: 30 Days to End Emotional Eating Forever! Click here to sign up and learn more! Or LEVEL UP and get the entire course plus two 30-minute coaching sessions with me to zero-in on your emotional eating challenges. Join Ditch the Diet Tribe for FREE! 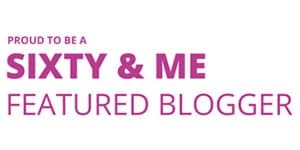 Episode 31: Stop Associating Food With Sin And Guilt!